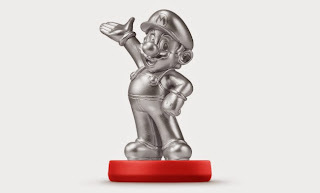 Attention collectors, Nintendo has announced a silver Mario Amiibo will arrive in stores on 5/29/2015 for $12.99. The silver Mario Amiibo looks exactly like the Mario Amiibo that is included with Mario Party 10 for the Wii U except it is now silver. Unlike the Walmart exclusive gold Mario Amiibo, the silver Mario Amiibo will be available at different retailers including Best Buy. In fact, Best Buy Canada already has a pre-order page up.